Don’t throw away your old brick! For a limited time, All Care Interlocking is offering an Economical-Exchange program. 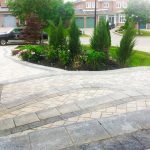 For every new driveway installed, we will offer to re-use the existing paver to create a backyard patio, pathway or landscape feature (up to 200 square feet) at no cost. We hope that this will encourage our customers to recycle their resources, while saving money and enjoying additional services at no charge. 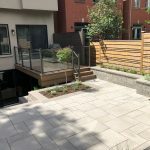 Also ask us about how you can re-use old or existing pavers to create other landscape features such as garden walls, flower beds or pots, benches, rustic walkways or even fire pits.